This is the ORIGINAL SEALED copy of The Salvation Army self-titled debut with a THREE O' CLOCK sticker applied to the shrinkwrap over the name Salvation Army. 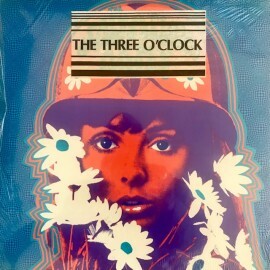 - due to the Salvation Army threatening legal action - which is why the group changed their name to The Three O' Clock! The LP is sealed, in its' original shrink-wrap - this is one of the earliest and one of the best psych revival albums! !